Several cars were damaged after a delivery service accidentally put diesel fuel in a pump meant for unleaded gas at a Plainville gas station. 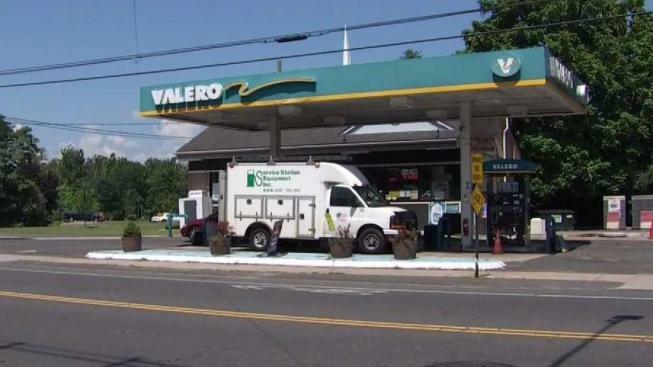 Seven customers pumped the wrong gas into their cars after a delivery driver accidentally switched regular unleaded gasoline with diesel in two 1,000-gallon gasoline compartments at the Valero in Plainville. "I even thought to myself, 'There's no way I put diesel into my car'. I specifically look at the pump and I take good care of my car," Michelle Rusgrove told NBC Connecticut. "I left the gas station and my car was acting funny and I said, 'That's funny, I have a brand new car.'" The pumping problems at the Valero gas station have motorists revved up over repair bills. The company, Lee Transport Systems LLC, is accepting full responsibility, telling NBC Connecticut they'll pay for repairs, rentals and any other related issues after switching the gasoline and diesel at the gas station on East Main Street. Rusgrove, a Southington mother, is driving a rental, after falling victim to what's called a "cross drop" at Valero where she accidentally put diesel in her Audi A3. It turns out that six other drivers are in the same boat, including someone who drives a Maserati. On Tuesday, NBC Connecticut tracked down the gas station owner, who told us it wasn't his fault and he's facing a big hit in business. Lee Transport Systems, LLC, in New Jersey, fired the delivery driver who was responsible for accidentally switching the diesel and regular gasoline compartments. On Tuesday, Lee Transport Systems LLC sent a repair person to pump out and vacuum both tanks before fresh fuel was added and the station reopened. NBC Connecticut Troubleshooters reached out to the general manager of operations at Lee Transport Systems LLC for some answers. "This was complete human error, the driver did not follow proper procedure in making her fuel delivery and that is unacceptable. She was terminated. We take this very seriously. We spend a lot of money on training, re-training and proper procedures. Every validated driver will be reimbursed by our company in full," Fred Terpolilli, with Lee Transport Systems LLC, said. Terpolilli said the company has been in touch with many of the affected people and reimbursed many for their claims. He is advising people affected by the fuel issue to go to repair centers they trust and are in good standing in Connecticut. The state Department of Consumer Protection offers tips on its website to avoid automotive repair problems. This is not the first time this has happened at the Valero on East Main Street. Five years ago, Lee Transport Systems LLC called the 2012 incident a terminal issue. The Department of Consumer Protection (DCP) spokeswoman said the drivers did the right thing contacting the gas station owner who contacted the transport company and gas provider company. If the owner, hadn't acted as quickly as he did, a DCP spokesman said drivers could have contacted their office to file a complaint and they would investigate.